A little bit country, a little bit psychedelic rock and a lot of heart and soul. 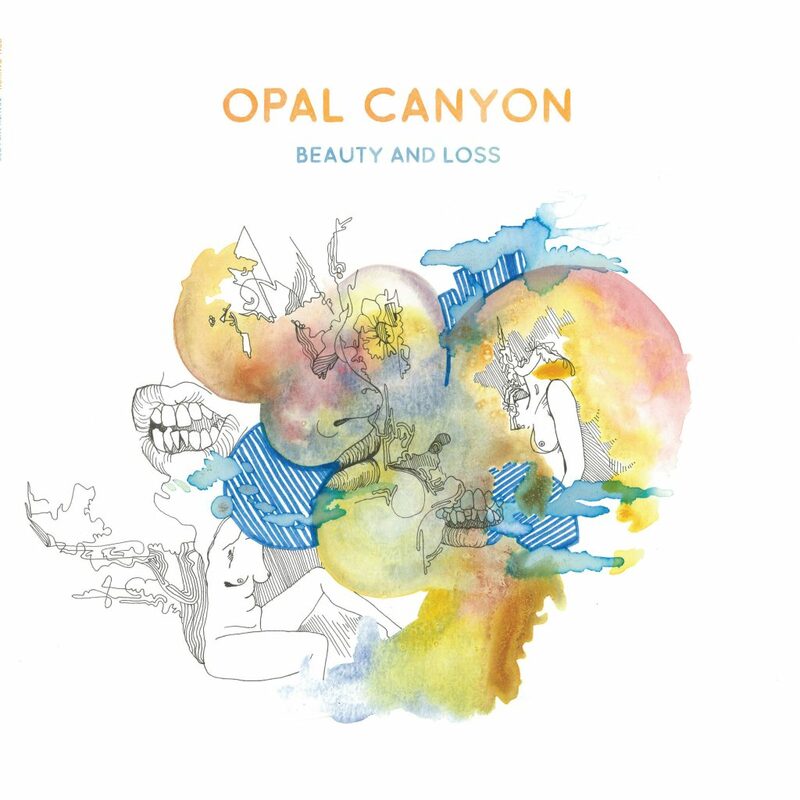 Valley supergroup Opal Canyon debut their album Beauty and Loss this month. Valley veteran musicians Debra DeMuth, Dave Houghton, Ray Mason, Bob Hennessy, and Jason Smith joined forces to produce this new musical project. I was lucky enough to catch up with DeMuth for an interview. 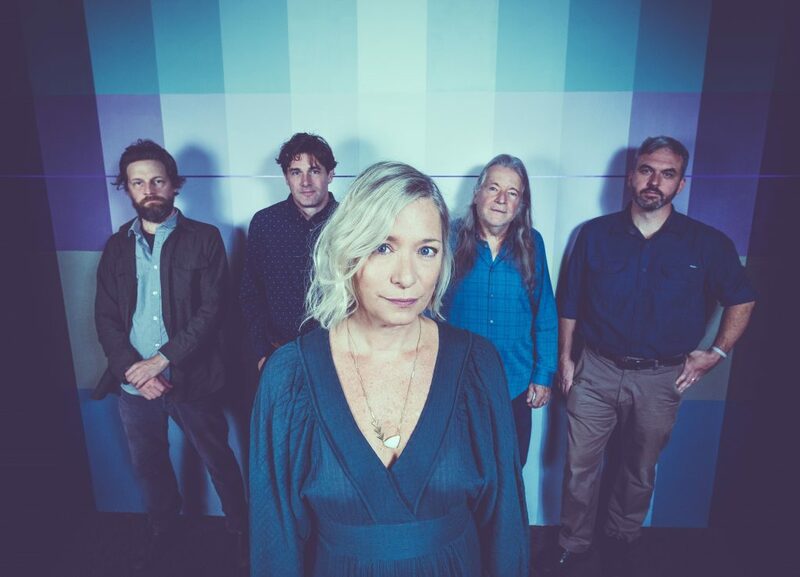 She talked about Opal Canyon, the making of their debut album, and her personal musical influences and songwriting techniques. Valley Show Girl: From what I gather from reading the liner notes on the album, it sounds like you are the conductor. You wrote all the lyrics. Would you consider this to be your musical project, or is it more of a group effort? Debra DeMuth: While the words and melodies are mine, the songs are most definitely a group effort. Dave will listen to my melodies and find the chords to best represent what I am going for. The rest of the band brings their amazing talent and writes their own parts. Dave leads the way in terms of the instrumentation he hears in the song; he will add a harmonium, an autoharp, a guiro and so on in order to get the feel right. I then orchestrate how to best weave it together with arrangement, tempo, and vibe. VSG: The opening track on Beauty and Loss, “High Road,” says it’s for “KG.” Can you tell us who that is? DD: Oh my, yes. I wrote that song for Kim Gordon after reading her autobiography, Girl In A Band. I’ve always admired her as a musician and then reading her story made me admire her as a woman. When things were at their toughest, she took the high road every time. I thought that was really inspiring and also thought how hard it must have been for her to not take the temptation of the low road. It’s definitely my hands on the hip, “me too” song. VSG: Where does your writing stem from? What inspired this album and are there any specific stories that stand out to you that were transformed into song? DD: My writing is personal. I wear my heart on my sleeve and put that emotion into my music. Each song comes from a place of emotional struggle or celebration. I walk most mornings and use that time to turn my thoughts into a phrase that helps me make sense of what I’m going through. Sometimes those phrases become lyrics. It’s like turning a rock over and over until the edges are smooth and it becomes a gem. I have this amazing spot on my walk where three songs have emerged. I call it the songwriting vortex. I swear there is some energy portal in that spot. The inspiration for this album comes mostly from my three wonderful sons and this time of change in our lives. I have come to realize that I am now the mother of men. They are no longer my little boys and I am learning how to be a mother in a new way and appreciate our evolving relationships. The album title, “Beauty and Loss,” comes from that recognition of watching them become men and the beauty there is in that, yet the loss of their youth and my role as their mom. The song “Wartimes” is really inspired by that. It is my way to say to them that no matter how old they are or how difficult their challenges may be, I am always here for them. VSG: Your husband, Dave Houghton, is in the band with you and you two were also in And The Neighbors together. Does that make producing music more of a challenge, or do you think it’s more comfortable and easier to produce? DD: Making music with Dave is an incredible gift; he completes the songs and makes the sum better than the parts. It’s also very fulfilling for us because we love being together and this is a way for both of us to enjoy our passion for music and be side by side. Dave is very supportive of me. When I am having a tough day he gets his guitar out and says, “Okay, get singing… It always makes you feel better.” And he is right. VSG: In a way, this band is kind of a Valley supergroup. With you and Dave from And the Neighbors and also Dave’s past in Fancy Trash, and then you have the Valley’s own legend Ray Mason from the Lonesome Brothers, along with Jason Smith who played with Erin McKeown and Bob Hennessy from Treefort. How did that lineup come to play? What are your relationships with these musicians? DD: Dave and Jason have been playing music together since high school. They have been in Fancy Trash for 15 years and counting. They can finish each other’s musical sentences. The first time I ever sang my own song at a club was with Ray Mason. We met through my dear friend and musical mentor, Robin Lane. Ray has always supported my songwriting and loves Dave’s talents as well playing bass occasionally with Fancy Trash. He was happy to join us to create Opal Canyon. Bob Hennessy has been on the Valley music scene for many years and we have always loved his contributions to one of our favorite bands, Treefort. Bob’s versatility adds a lot to our country sound. He plays guitar, dobro, mandolin, piano, and organ on the record. VSG: I love the sound of Opal Canyon. It has a touch of old-school country but also has a little psychedelic rock edge to it. What are your musical influences for the album and in general. DD: There is a melting pot of country, folk, Southwest, and indie influences from Johnny and June Cash, Richard and Linda Thompson, Calexico, Gram Parsons, and The Byrds “Sweetheart of the Rodeo” and female artists such as Neko Case, Kasey Musgraves, and Jenny Lewis. Dave’s band Fancy Trash adds an indie influence as does our engineer, Justin Pizzoferrato, who works with Sebadoh, Dinosaur Jr., and Speedy Ortiz, to name a few. VSG: What did you grow up listening to? DD: I was crazy about The Supremes but I also loved Loretta Lynn, Patsy Cline, and Dolly Parton. And as an ‘80s gal I adored Chrissy Hinds, Deborah Harry, and Stevie Nicks. VSG: What is in your current shuffle? DD: Iron and Wine’s Beast Epic, Paul McCartney solo records and his new album, any and all Mark Mulcahy, Kasey Musgrave’s Golden Hour. And Dave is old school with The Stones, The Beatles, Neil, and Fugazi. That may explain a lot. VSG: You covered The Cure’s “Love Song” for this album and it is such a beautiful rendition. What was the decision behind picking that song to include? DD: I heard it on the radio one day (thank you Joan Holliday) and came home suggesting to Dave that we cover it as a duo for And The Neighbors which we did once or twice. Then, at a Fancy Trash First Night show, with 100 people in the audience, Dave called me on stage to do “Love Song” with the band which we had never done. He told Jason to lay down a rumba beat, and it became our own song right then and there. It is one of my favorites to perform live. VSG: With your debut album freshly out there for ears to hear, what does the future look like for Opal Canyon? DD: We are very excited for our record release show on April 26 at The Parlor Room with Dennis Crommett (Spanish for Hitchhiking and The Winterpills). We have an amazing show opening for Los Lobos at Gateway City Arts, June 9. We will be playing Boston, Easthampton and Franklin County in the months to follow as well as scheduling a house concert tour over the summer. In the meantime, I keep taking walks and writing songs. Signature Sounds Presents: Opal Canyon Record Release Show with Dennis Crommett at The Parlor Room, Friday, April 26. Doors at 7p.m., show at 7:30pm. Tickets: $10/advance, $13/door. For more information on Opal Canyon, visit http://www.opalcanyon.net. Jennifer Levesque writes the twice-monthly column, Valley Show Girl, you can reach her at jlevesque@valleyadvocate.com or more info on http://www.valleyshowgirl.com.